TOP 10 Music App in over 80 countries, over 40 million songs played! Use your own acoustic piano, or an on-screen virtual one, to play your favorite songs whether its pop songs like Taylor Swift's Trouble or Classical like Vivaldi's Spring. 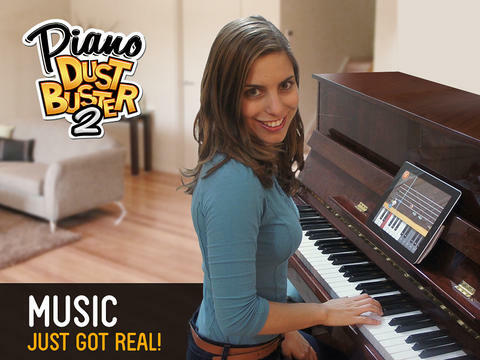 Dust off your piano with the Award Winning Piano Dust Buster music game! 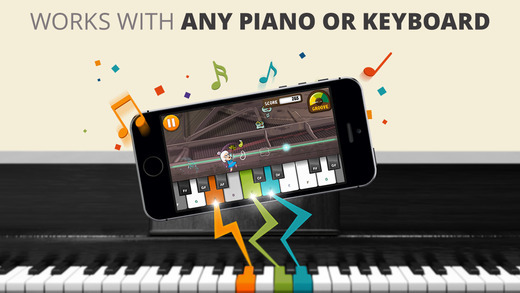 In Piano Dust Buster 2.0 compete against your friends and players from around the world! In "Concert Mode" there is always a competition to compete in and never ending free content to play. Win medals, level up and unlock even more songs from the JoyTunes library! In "Jukebox Mode" practice your piano skills while playing fun pop songs and classics. Gain XP (experience) points and level up to unlock even more new songs. To enjoy the vast song library purchase a subscription or individual song packs of popular and fun songs for all different skill levels, accompanied by high-quality concert music. Subscribers will receive full access also to the Piano Maestro App - a great complementary tool to your piano lessons. 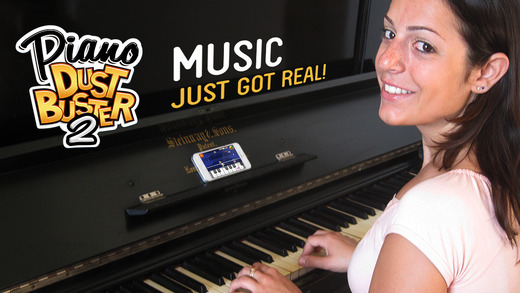 * Works with an acoustic piano/keyboard - use your own real musical instrument to play!!! * New songs are automatically added! - All app users can play several free skill levels and "concert mode". You can buy additional packs of songs, or upgrade to a subscription package at any time. - All recurring subscriptions will auto-renew unless auto-renewal is turned off at least 24 hours before the end of the current period. You may turn off auto-renewal at any time from your iTunes account settings. Payments will be charged to your iTunes account at confirmation of purchase. - Subscriptions cannot be canceled during the active subscription period. Powered by the Sparrow Framework.